It’s one of the most awkward questions a friend can ask you: “Will you lend me some money?” Awkward for your friend to have to ask, and awkward for you to have to answer. Saying “no” could adversely affect your friendship. However, saying “yes” could also put a strain on your friendship, and your finances. If you get asked that awkward question, you should follow up with eight questions of your own before you decide whether or not to lend a friend money. 1. Why does your friend need the money? Sometimes, there is a clear, one-time need for which a timely loan can get your friend through a particular situation — for example, Bob has found the perfect house but is a couple thousand short on the down payment, or Jane’s son needs dental surgery. Situations which are out of the ordinary and are not likely to recur at least suggest that a loan might be a one-time thing. Unfortunately, more often when people turn to their friends for financial help, it is because of long-standing money problems. In that case, your loan is likely to be nothing more than a temporary stop-gap, leaving your friend with the same set of problems in a few months, and you with little chance of being repaid. 2. What other debts does your friend have? If a friend comes to you for money, it may well be because he or she has exhausted all other sources of borrowing — meaning that the credit cards are maxed out, and possibly mortgage, car, or student loan payments are coming due. If your friend owes money to credit card companies or lenders, you are probably going to have to stand in line behind them before any money you lend gets repaid — which significantly reduces your chances of seeing that money any time soon. 3. Is this an amount you can afford to lose? Institutional lenders use a variety of techniques to assess loan risks, and they make thousands of loans. So the cost of the occasional bad loan can be absorbed by the money they make from interest on good loans. You have neither those underwriting tools at your disposal, nor the opportunity to broadly diversify your lending risk. This makes a one-off type of loan especially risky, and you should not lend more in that situation than you could afford to lose. 4. How formal should the arrangement be? This loan may be an understanding between friends, but that doesn’t mean you shouldn’t formalize it with a signed, written agreement. 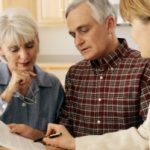 Aside from protecting your financial interests, it can be important to the friendship to document your understanding in a way that ensures you both remember things the same way after some time has passed. 5. Should you charge interest? Remember, there is an inflation cost and possibly an opportunity cost to tying up your money. Charging interest need not mean profiting at your friend’s expense. It can simply be a way of recouping the cost of having the money unavailable for a while. One argument in favor of formalizing the arrangement and charging interest is that, if you don’t, the IRS may deem it a gift rather than a loan. If there is a large amount of money involved (the exemption limit is $14, 000 for the 2015 tax year), this may mean having to pay gift tax — and the giver rather than the recipient is on the hook for gift taxes, so this could come out of your pocket. Part of the formal arrangement should be a repayment schedule. That way you both know what to expect about repayment terms. 7. Has your friend budgeted for repayment? Another benefit of a repayment schedule is that it can serve as a reality check. Once you have a repayment schedule worked out, it is fair to ask your friend how he or she intends to find the money for those payments — especially if that friend has been having financial problems already. 8. Which will affect your friendship more: saying no or saying yes? It might seem to be the path of least resistance to say yes, but saying no means you can both quickly put the incident behind you. On the other hand, a burdensome loan could prove to be an ongoing strain on the relationship for years to come. If the analytical approach described above seems too hard-headed, consider an alternative besides saying yes or no to a loan: simply giving your friend the money. If your friendship is close enough that you really want to help, giving rather than lending money allows you both to move forward with no strings attached. On the other hand, if simply giving the money away is not something you can afford, you should think very analytically about lending the money. If things go wrong, a bad loan to a friend could cost you both the money and the friendship. Saying no might affect your relationship unless that amount he/she want to lend is really impossible for you, but saying yes mean you are willing to lend and if they didn’t pay you back you will always had the grudge. The first questions that popped into my head was about charging interest rates, and your answer is pretty comprehensive about that. It does make sense to formalize it and not make it look like a gift in the eyes of the IRS, but charging an interest rate really does seem opportunistic, don’t your thing? How about a small, nominal fee instead? You could call it a ‘token’ interest rate and charge something like $1 on the day that the money is returned to you. How would the IRS view that? 9) how many other times have you lent money to this friend? what were your experiences? 11) what lost opportunity (if any) will this loan present to you and your family? will you be able to pay your own bills? Yikes… I think if I ever got to the point of loaning money to a friend or family, I would just assume that I wouldn’t get it back. It’s way too awkward and uncomfortable to do that. I’ve loaned money to family before and it’s just weird. The tough part is that it’s an emotional reaction sometimes. You know your friend or family member needs cash so you emotionally loan them the money. Bad move. One website I found but have never used is ZimpleMoney – you can use it to set up a loan through them for a friend or family member. This way the loan is “official” and will show up on their credit report. Might make this type of situation awkward, but a little less awkward than a just a handshake agreement. Nice article!